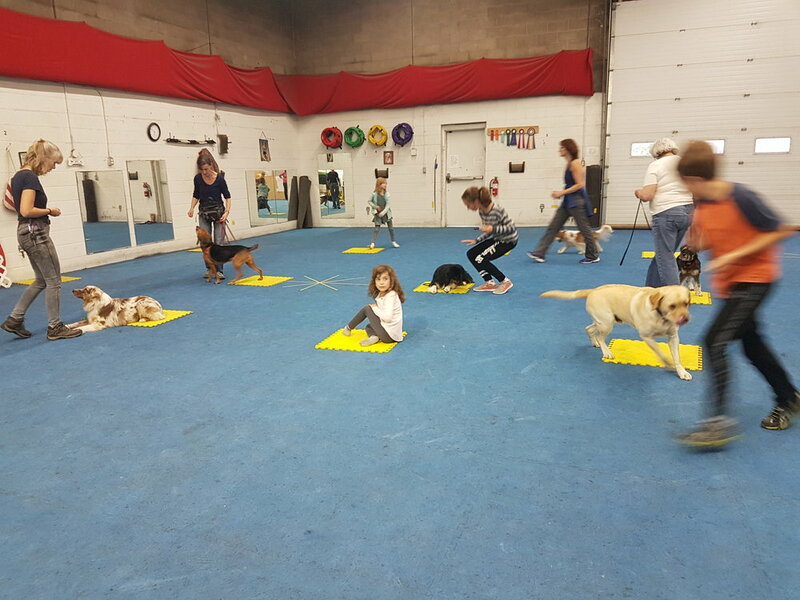 Puppy class is perhaps the most important program we offer! We have a free program for young pups and then a full service program for older puppies. 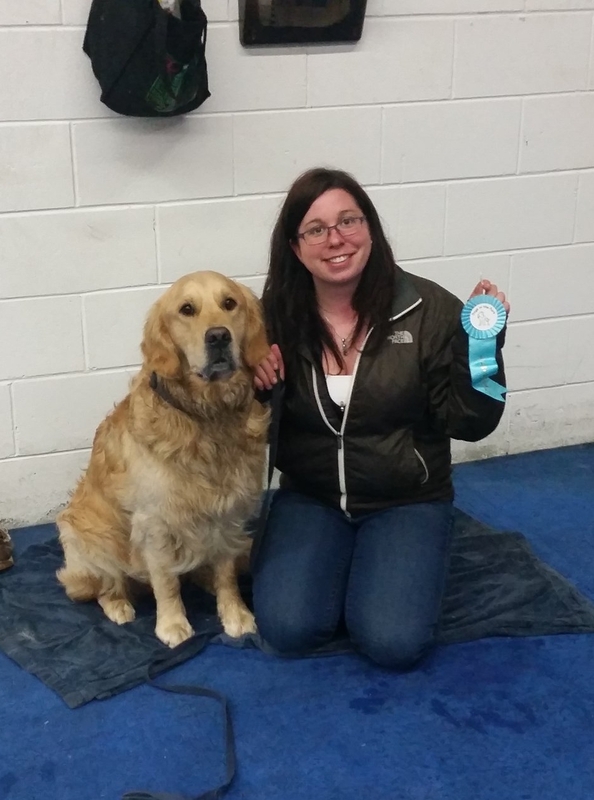 Successful training is recognized with ribbons and big smiles! At Dogs in the park we believe that obedience is just one stage on the training journey. If you want a true canine partner, train through the levels and develop a relationship that is truly unlimited! Dogs in the Levels program learn skills that can be applied outside of the classroom to daily life, as well as those that can be applied to sports such as agility, tracking, rally and more. We recognize that every dog and human team is unique and they each have special goals that are meaningful to them. For this reason, we have designed our modular program to be flexible to meet your needs. You choose which behaviours to train in each class and you can come to class as often as you are able to get here! We have late morning, afternoon, evening and weekend classes to suit your needs. As you gain skills with your dog, you will qualify to participate with your dog in specialty classes and activities at no extra charge. Currently we have games classes, rally and off leash walks for those who have passed minimum requirements. You can also take advantage of other specialty programs such as Tunnels and Jumps, and Tracking by participating in introductory workshops and then continuing on in our ongoing activities. Join us for 8 weeks of training where you get to choose when you attend class and what behaviours you teach your dog. Each team will receive a clicker and a workbook and full access to all of our regular levels classes throughout the week. We offer classes 7 days per week, for the ultimate in flexibility for your busy schedule. Complete specific behaviours and levels to earn your way into Rally, Games or onto our off leash Rocking Horse Walk! We know that busy families have commitments that may make it difficult to get to class. If you are going to miss a week of class, you can bank that week! In fact, you can bank up to half of your enrolment to allow for vacation, illness, work and school commitments or even if you just want to have a week away from training. You simply email us that you need time off (we prefer that you do this in advance of your banked time) and add your time off to your enrolment! If you have enjoyed your time in our regular enrolment, consider an Extended Enrolment when you renew! The Extended Enrolment is 6 months long and includes all of what you get with the Regular Enrolment, PLUS 3 extras; choose intensives or privates to complement your enrolment. Add to that our unparalleled extensions for registration, allowing you to bank up to half of your time or three months, no questions asked! The Ultimate Enrolment is a 12 month enrolment and includes everything that is included in the Regular Enrolment PLUS 10 extras; choose privates or intensives to complement your enrolment! This is the best deal when it comes to training with Dogs in the Park, and comes with the advantage of being able to bank up to six months of your registration, no questions asked! This weekly off leash walk is designed to help dogs who have passed a minimum set of behaviours to learn how to hike with their people off leash! We meet weekly with an instructor to talk a short off leash walk that focuses on connection and control all while your puppy gets to play with his doggy friends! Program fee: Included in your levels enrolment! Some conditions apply. Small dogs can learn everything that the big guys do, so we have a class where they can work without larger dogs to intimidate them! If you have a small or infirm dog who would benefit from a class just for them, you can come out to our Levels Class just for the little guys. Do you have a small breed dog? Each week, we offer two Levels Classes exclusively for small breed dogs, or dogs with physical limitations! We know that the little guys can find a class full of large dogs intimidating some of the time, so we have set aside two classes each week just for small breed dogs! This class is limited to dogs under 10kg, or dogs with health issues such as ongoing lamenesses. Use your Levels Skills to participate in this weekly one hour class composed of games and activities to improve your dog's connection to you! We play musical chairs, leap frog, beagle bowling and much, much more. program fee: Included in your Levels Enrolment. Some conditions apply! Once you have passed Level 2, you are eligible to join our weekly Rally Class when there is room to do so! Rally is the fun heeling skills sport you can participate in with your dog! Introduce us to your Dog! If you have not yet decided on a name, give us a temporary name for our files. If you don't know your dog's heritage, please indicate both his weight and if he is a toy, medium, large or giant breed of dog.